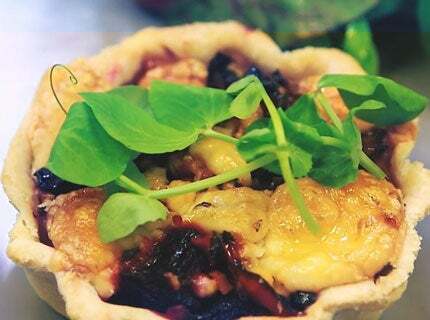 From the pastry through to the filling, this goats cheese tart is packed full of flavour! 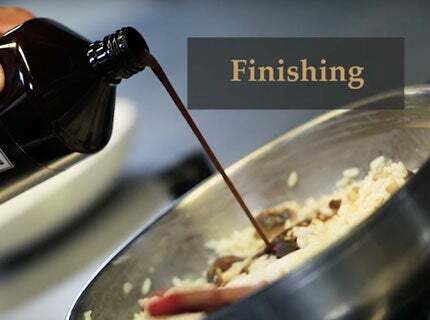 Our vegetable liquid concentrate is so versatile that it can be used in every step of the recipe. The vegetables are coated and roasted to bring out their natural flavours. Then they are piled into vegetable flavoured pastry cases, crumbled goats cheese is added before returning back to the oven until golden and delicious. 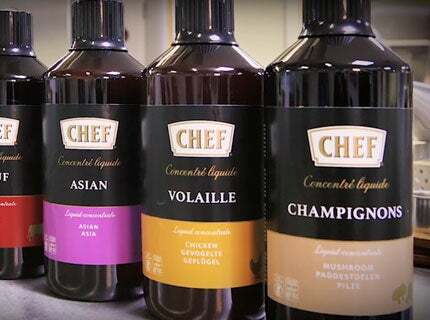 View our range of short videos to see the dish being created and how you can use our CHEF® Liquid Concentrates in the same way as a bouillon or seasoning. They’ll help you add more flavour at any stage from pre-cooking to plating. Blend the plain flour and butter in the blender to create breadcrumbs. Add a few drops of CHEF Vegetable Liquid Concentrate (approx. 5ml) and some cold water slowly to form a smooth paste. Remove and form a ball. Wrap in cling film and chill for 30 minutes. Grease the tart cases and leave to one side. Evenly chop the vegetables, except the beetroot. Keep them small enough to fit inside the tart cases. In a bowl, coat with 10ml olive oil and 10ml CHEF Vegetable Liquid Concentrate, remove and place on a roasting tray and add the garlic. Roast in preheated oven for approx. 20mins. Roll the pastry on a floured surface and cut to fit the tart cases. Line well into all the corners and allow to rest, do not trim to the edges. Dock the bases with a fork. Place onto a baking sheet, line with the cooked vegetables, crumble over the goats cheese, bake for approx. 15mins, and the pastry should be cooked and crisp but not burnt. Place onto the service plate with dressed leaf, dressed with the remaining 5ml of olive oil. Using the glaze, garnish the plates and serve. A great meal as is but you can add pulled meats to the toppings if desired. The vegetables can also be changed as the seasons change so think of butternut squash, wild mushrooms and other root vegetables.